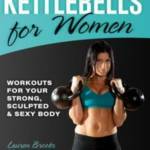 by the Kettlebell Queen Herself, Lauren Brooks! In this workout video, you’re invited into Lauren Brooks’ personal gym to experience the innovative kettlebell fitness program that she mindfully designed for both men and women to increase fat loss and build strength! Sculpt, Strengthen, and Tone Your Body with the Kettlebell Revelation! 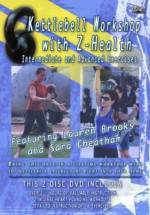 This kettlebell DVD fitness program consists of highly-effective strength training and fat blasting workouts that Lauren Brooks uses with her advanced to intermediate kettlebell students. The Kettlebell Revelation™ DVD includes powerfull kettlebell exercises that are not featured on any of Lauren’s other DVDs. Lauren Teaches You a Variety of Kettlebell Exercises That Will Take Your Strength Training to the Next Level!